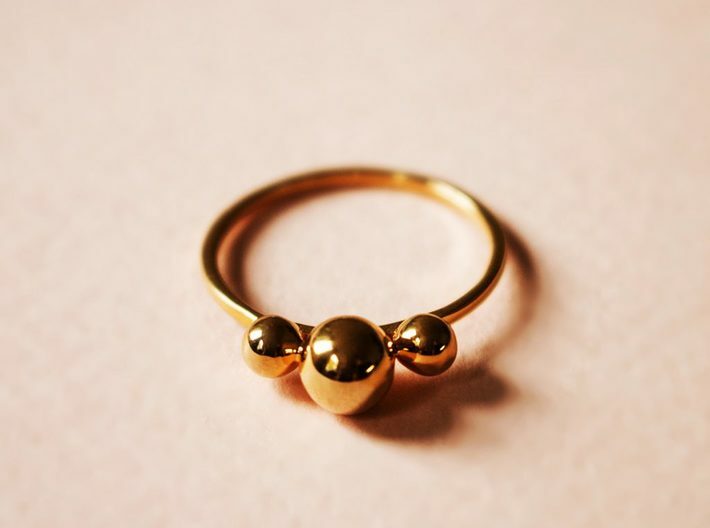 Our Three Spheres Ring is an actual statement piece with its symmetric shape. 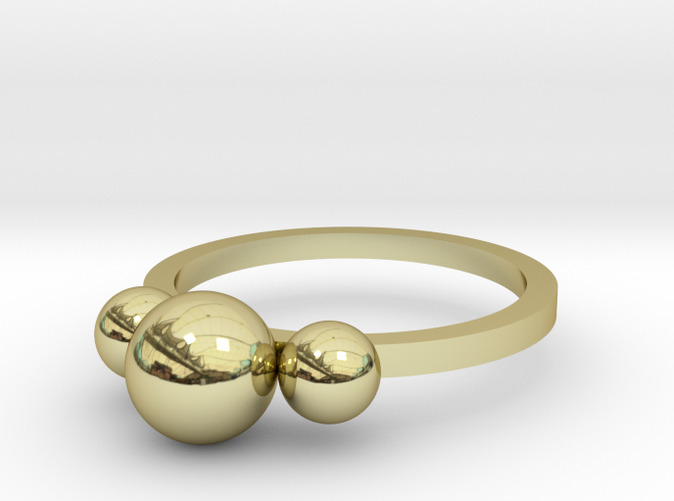 The thickness of the ring band is 1 mm, while the spheres have a diameter of 6 mm and 4 mm. 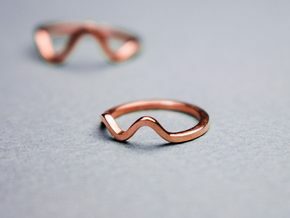 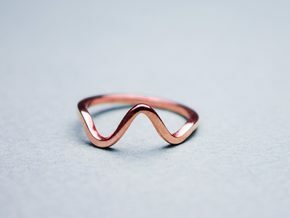 Available in 925 Sterling Silver, extra durable Gold Plated Brass with 18K gold or rose-gold. 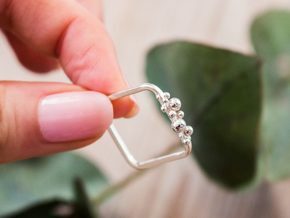 Don’t know your size? 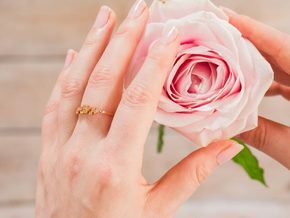 Check out our size guide for tips on how to measure your ring size and our FAQ for jewellery caring tips.